After a year of using the system myself I felt it was time that I go ahead and implement it with some of my high school athletes. 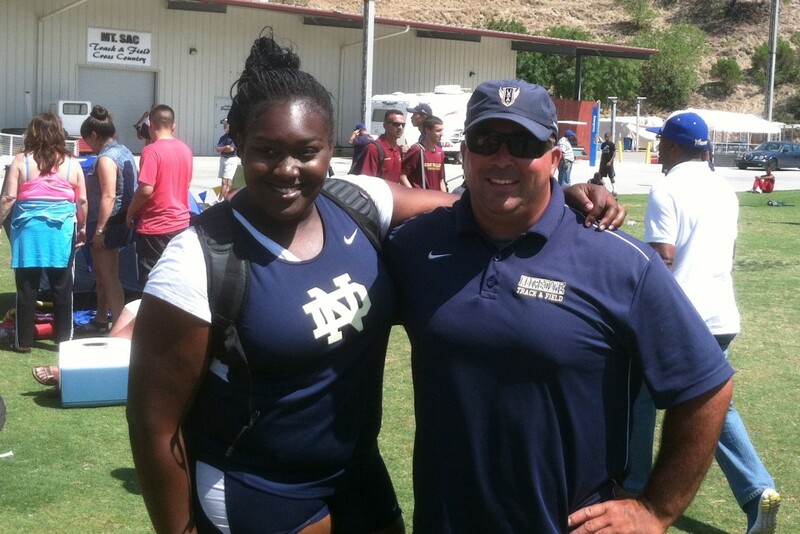 I had the perfect candidate to experiment with: a young thrower on my team named Ginika Iwuchukwu. As a freshman and sophomore Ginika had played basketball in the winter and we only had a short time to prepare her for the upcoming track season. During this time I had her on a traditionally periodized training plan and at the end of her sophomore year she had thrown right at 12 meters (39 feet). Looking ahead to her junior year she decided to focus on throwing. Therefore, I thought this would be the perfect opportunity to apply Dr. B’s system or what my idea of what the Dr. B. system was. Rather than going into the structure of the program, which Martin has explained and had examples of it up in the past. I will go over the results we got, mistakes I made, and what I am doing differently this year compared to with Ginika over the last two years.